A diferència d’altres vegades, on he dit “avui faré només una minicrònica o ni això” i acabo escrivint la Bíblia en vers, em trobo en aquests moments en unes circumstàncies que m’impedeixen posar tota l’energia desitjable en relatar el que vaig veure i viure ahir a la renovada Apolo 2. Desbordada de feina i abatuda pels esdeveniments de les últimes setmanes que em van arribar a fer plorar dimecres passat a casa, vaig trobar que calia esbargir-me, però que no dedicaria energia a l’escriptura. D’aquesta manera, alhora, col·laboro activament en les peticions de què, malgrat les circumstàncies que estem vivint a Catalunya aquests últims mesos, la cultura no s’ha de deixar de banda. Una de les raons, òbviament, és l’econòmica ja que Barcelona especialment és una ciutat amb una oferta inacabable d’espectacles de tots tipus. L’altra és també l’emocional: molts de nosaltres ens trobem vivint uns moments difícils, de maltractament psicològic que estan deixant petjada no només en el nostre estat emocional sinó també en la capacitat de concentració en les nostres tasques diàries, des de les més senzilles com serien fer la feina de casa o anar a comprar (i no trobar-te amb cinc mangos a la nevera, com em va passar a mi mateixa fa tres setmanes) fins a les més complexes, com són la redacció de textos o la capacitat de reacció en situacions de risc. Així doncs, només em falta dir que el concert d’ahir de Fink va ser un concert brillant que em va servir per desconnectar una mica (que no del tot) de la infoxicació viscuda darrerament i del Màster en Dret Penal que estic fent involuntàriament a base de lectures de diaris intentant explicar l’inexplicable que està passant aquests dies a l’Audiència Nacional. Així mateix, em va servir també per poder comprovar, un cop més, que les recomanacions d’una molt bona amiga meva són molt encertades, i aquesta no era excepció. De fet, sobre un tema de Fink ja vaig escriure ara fa poc més d’un any, en què una cançó en concret em portava a analitzar una situació molt trista per a mi en aquells moments. Ahir, un any i poc més després de què aquell tema prengués un significat concret, vaig poder comprovar un cop més que el motiu que em va portar a escriure a aquelles paraules segueix estant present al meu dia a dia però amb un sentit molt diferent. Molt. El mateix fenomen que espero que passi amb l’aberració judicial del Govern deposat. A poder ser, sense haver d’esperar un any. Having written the announcement of this year’s series of concerts of the Jardins de Pedralbes Festival, Hipsterian Circus requested two press passes I asked for the concerts I felt like going. Once again, on this occasion, I wish I could’ve gone accompanied by a photographer. Unfortunately, that wasn’t the case. Only press passes were granted this time. Hence the shameful quality of the shots I could take from the distance, as it wasn’t allowed to approach the stage. My choice was that of M83 and José González. 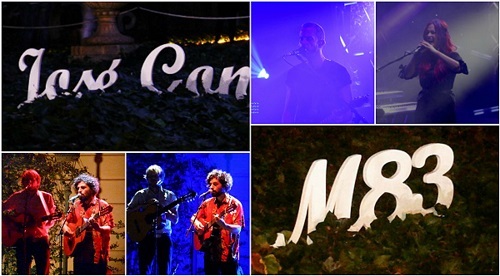 I wish I could’ve also seen Milky Chance (again, yes), but I had to work till late at night that day. I would’ve also liked to go and see Tom Jones, but I thought that requesting so many press passes was too much, so I stuck to just two. My choice wasn’t perhaps the best one, as M83 didn’t meet my expectations. They did have good moments, but the bland ones were more numerous than the ones worth highlighting, as I explain in my review of their gig. As for José González, to be honest, I expected much more too. While the atmosphere was perfect for his kind of music, that many slow tunes in a row were too much so we were all craving for some more upbeat melodies after a while. Besides, the almost non-existent moments where either he or any of his band members interacted with the audience made of this concert a very cold experience overall. The good (?!) thing is that it only lasted 1h15′. Here’s my review too. My summer fest experience finished in mid-August with the Way Out West (WOW), a festival taking place in Göteborg (Sweden). This festival holds 4 main stages, some of which rather small and, therefore, with reduced capacity, plus a couple of stages at the Stay Out West, which I didn’t visit, accessible by bus from the main WOW venue. The pitch in front of the stages is, in principle, alcohol- and food-free. That is, there are specific areas where to grab a bite or have a sip, and rather strict control when entering the pitches. This was a plus point, surely, as the pitch area didn’t end up so filthy as in any other fests. The same can be said of most of the other facilities. The fewer the people, the cleaner the venue. Mathematical. In contrast with other fests I’ve attended, let’s say this one was not the one that offered the most impressive line-up of them all. 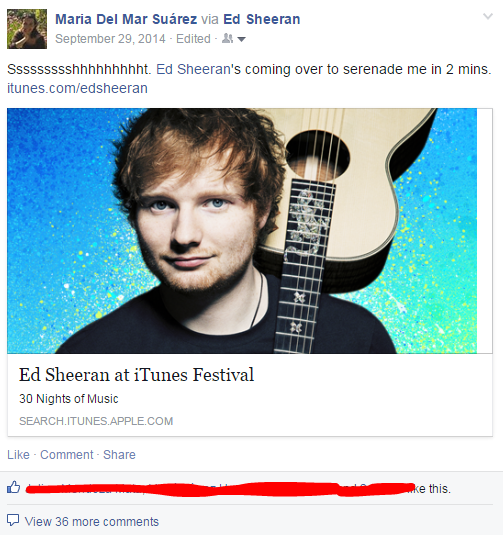 But it was precisely because of that (and of my beloved Florence and The Machine, ehem) that I made up my mind to go, as there’s little chance that Ellie Goulding, Susanne Sundfør or First Aid Kit, to mention a few, set foot in Spain any time soon. It also included a few Scandi acts such as First Aid Kit, Kygo, Tove Lo, and Susanne Sundfør, among others. Besides, it offered some international great acts which, oh surprise, surprise, didn’t overlap with any other big names. The downside to this was, though, the consequent mass of people for certain acts, such as Future Islands, Years & Years, Pet Shop Boys or First Aid Kid, either due to the timing or the stage assigned. After suffering seeing Kindness again from the distance, Day 1 started with the timeless music of the Scottish band Belle and Sebastian. Their show was kind, friendly, no risks taken, including tunes from all their discography, without emphasizing much on their latest, more electrodance-y album Girls in Peacetime Want to Dance till the end of the show. Initially, they weren’t going to have videos in the backdrop but they managed to rent the huge screens in the background, courtesy of Pet Shop Boys, in exchange of £200, that is. If it hadn’t been for the videos, their show would have been just ok. While it is true that they are in full shape and that their show is dynamic and funny at times, the fun came from, essentially their frontman, Stuart Murdoch, only, who cordially invited some punters to dance to a couple of their tunes on the stage. The other members of the band did their job, yes, but not even their outfits, including a shopping bag when leaving the stage and the gown you could easily wear to do the yearly general clean-up of the house, showed they were going to play on stage in front of an audience. Stage presence, guys! 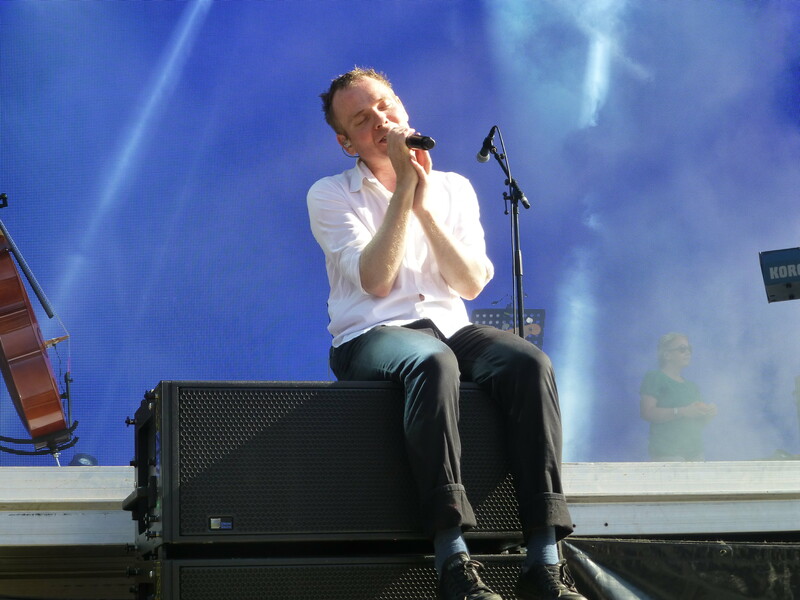 Stuart Murdoch from Belle and Sebastian, thinking of his wife at all times. Being late for the beginning of Future Islands‘s show, it was impossible for us to enter the Linné tent, we had to make a supernatural effort to see Foxygen from the distance, while waiting for The War On Drugs, an American indie rock band who, in my view, released one of the best albums of 2014: Lost In The Dream. Theirs was a serious show, aiming at highlighting the grandness of their solo guitars and of their frontman’s peculiar voice and occasional ‘wooh’. 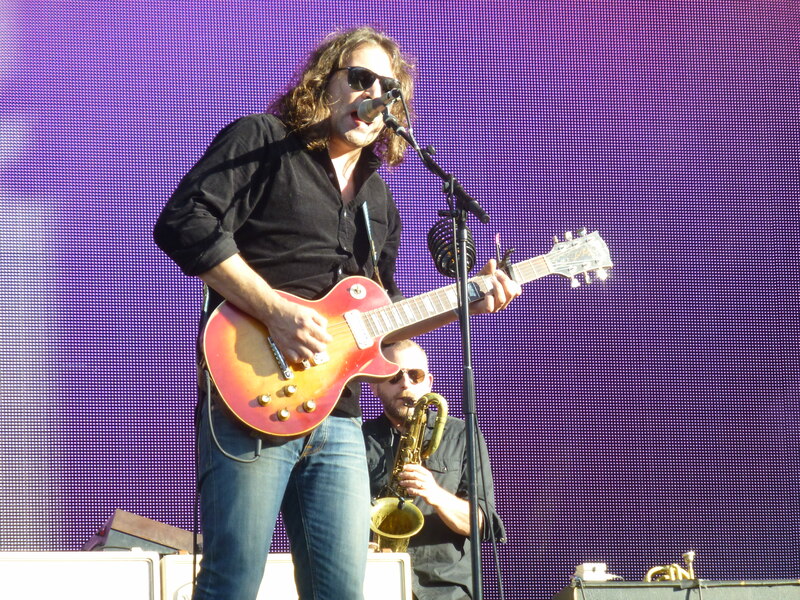 Adam Granduciel from The War On Drugs. While their music live sounds impeccable, clean, brilliant, there is not much more to the show other than the perfect execution of songs of classy indie rock style. 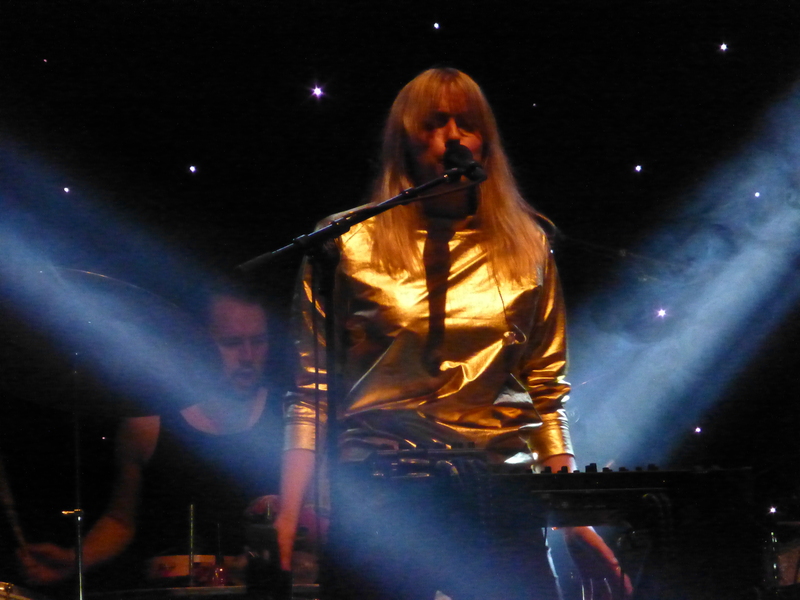 Then we were forced to take the tough decision to skip the now super trendy Kygo (yep, first world problems * sobs *) in favor of the Norwegian singer-songwriter Susanne Sundfør. With some delay for technical reasons, we attended a gig that took a while to take off. The first part was (way too) experimental for a festival show and left part of the audience a bit out of place. Or maybe it didn’t. Difficult to state openly. However, even the very Susanne, once this part was over, went like ‘Let’s have some fun!’ (weren’t we supposed to be having fun from minute one?). In Sundfør‘s defence, it must be said that it can’t be easy to decide on a setlist when your catalogue covers so many different styles and registers. The most ‘difficult’ (to call them some way) tunes transported the audience to a sideral space where there was room for any synth or button Susanne felt like playing while going almost in a trance state. Her more danceable pop tracks, while involving the audience more easily, failed to sound so neat, yet it was blatantly obvious that the audience enjoyed them perhaps even more than the previous ones. 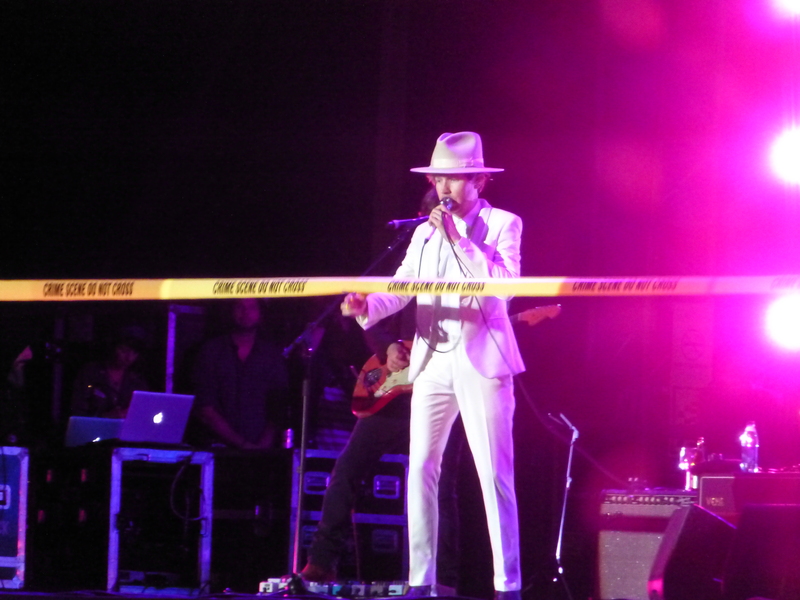 Beck was the cherry on top of the night. To be honest, I had no idea what I was about to listen to (* hides behind a rock *), but Beck won a new fan with his live show, including cute choreos and skits. Unable to say anything about the setlist or how the show unfolded accordingly, I will just say that seeing that man on stage made me think ‘I wanna take you home and press your belly button to make you play whenever I feel like it’. An artist to explore, for sure. Beck during one of his skits. A principios de febrero nos enteramos del estreno del nuevo single de Florence + The Machine, “What Kind of Man”, de su próximo álbum, How Big, How Blue, How Beautiful, a la venta el próximo mes de junio. Que tras cuatro años sin escuchar nada nuevo de Flo estrictamente dicho (no cuento las colaboraciones), te llegue tal notición es como para calificarlo de “alegría del día”. Nada más verlo, estoy segura que a tres personitas que conozco situadas en tres extremos distintos de la Península Ibérica nos dio un salto el corazón. Y, evidentemente, nos hicimos un hueco en la agenda para poder resolver la duda: ¿Llegará a cumplir con nuestras expectativas, la pelirroja de bote? No solo las cumplió, sino que las superó. Pero no a la primera escucha, en que tras el cambio guitarrero, al menos yo y uno que yo me sé nos quedamos un poco WTF. Gracias, BBC Radio 1, por dejarnos reflexionar unos minutos y ponérnosla otra vez, Sam, para poder digerir el guitarrazo – que resulta que después tampoco había para tanto-, y poder apreciarlo en la totalidad del conjunto. Pero es que ese estreno no quedó solo así. A las pocas horas, el estreno radiofónico del primer single vino nada más y nada menos que acompañado de, ¡bombazo!, estreno de vídeo. No hase falta que dises nada más, Lu. Esta no es la primera vez, y espero que no sea la última en que pueda compartir una experiencia tuitera que no solo me lleve a poder sentir que estoy haciendo lo mismo que miles de personas a la vez (como en Fin de Año, oiga), sino que además, haga que me entre la gran carcajada del siglo, incluso tras ver un vídeo bastante trágico y complejo. Lástima que el segundo vídeo, precioso, nos haya caído del cielo sin aviso previo alguno. Y es que es lo que tienen los media, ese poder de estar espatarrada en el sofá de casa, te pillas un live stream del Festival de iTunes y terminas con 40 comentarios en Fasebú comentando la jugada. A falta de festival pan, buenas son tortas. Ed Sheeran petándolo en mi muro del Fasebú. Próxima cita online: Coachella esta Semana Santa. ¿Habrá alguien around online?